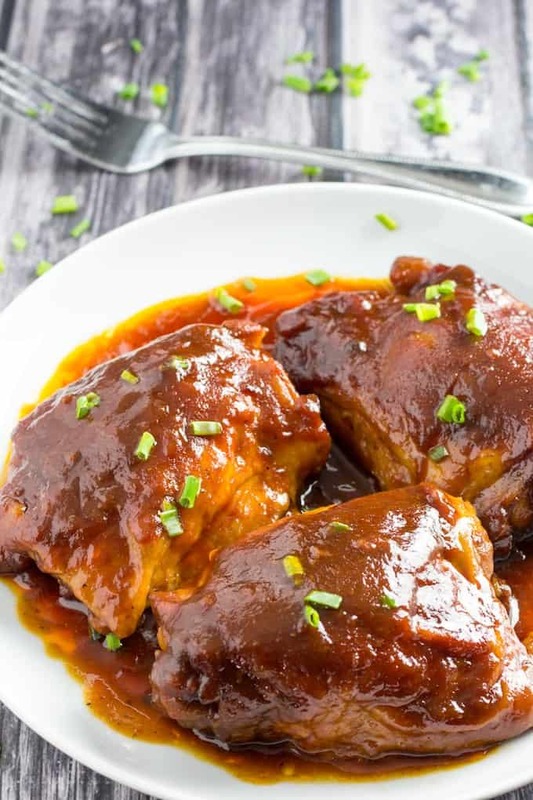 BEST Crockpot BBQ Chicken Thighs Ever is tender chicken thighs slowly cooked in your favorite BBQ sauce and dark brown sugar all day long. Set it and forget it, plus it’s only 3 ingredients! I love a great BBQ recipe! 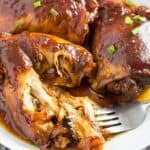 If you do too, you’ll want to check out these Baked BBQ Chicken Drumsticks, BBQ Slow Cooker Pork Loin, and Smoked BBQ Ribs. Crockpot BBQ Chicken Thighs did not get the title BEST EVER for no good reason. 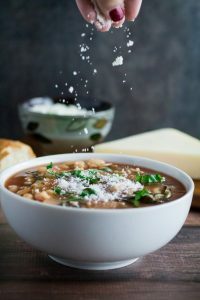 Not only are they insanely easy to make, they’re also super tender, fall-off-the-bone delicious. So you can see why I have deemed these to be the best bbq chicken thighs ever. Plus they’re only 3 ingredients, which is perfect when you want something easy but still tastes like they took you all day to make. 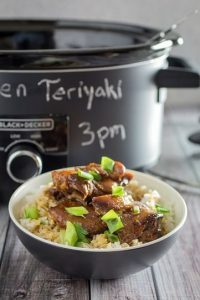 How to make Crockpot BBQ Chicken Thighs? Ok, you’re not going to believe me here, but there’s only one step to making this dish. I told you this was insanely easy, right? Throw everything into the crockpot. Cook. There, that’s it! You’re done in only 1 step. You can serve these with potatoes, rice, or alongside some other BBQ season favorites like Mom’s Potato Salad. 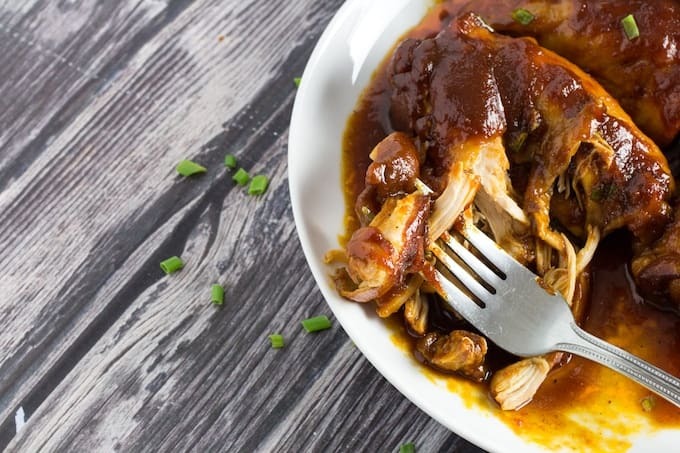 Can you make slow cooker BBQ chicken thighs bone in skin on? 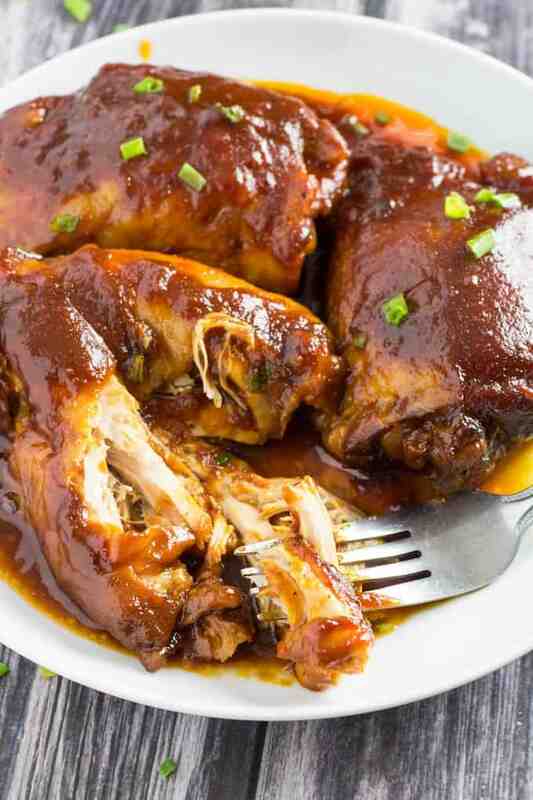 I always make slow cooker BBQ chicken thighs bone in skin on. The bone and skin help keep the chicken juicy and lock in a lot of that flavor. If you’re feeling really motivated though, you can sear the chicken on the outside before adding it to the slow cooker. This adds another layer of flavor, and can help make that chicken skin nice and crispy. 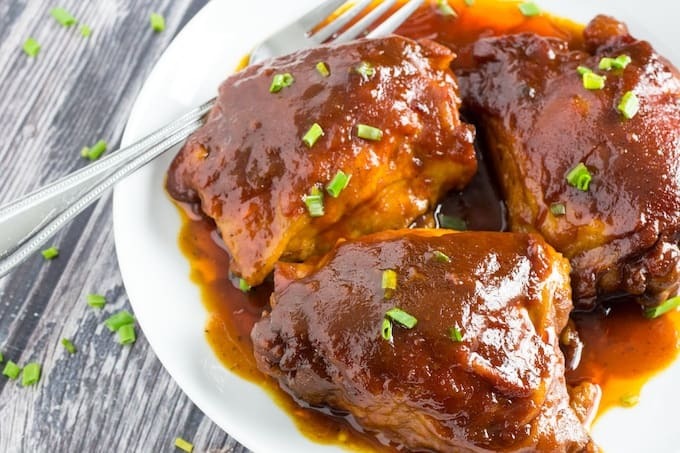 Slow cooker BBQ chicken thighs will be your new favorite recipe! 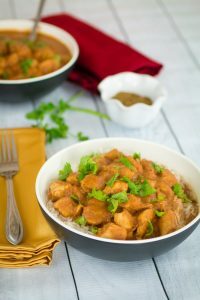 What is a safe chicken thighs internal temp? Safety first! You want your chicken thighs internal temp to be 165F. I always have a meat thermometer handy so I can check and make sure everything is truly done. 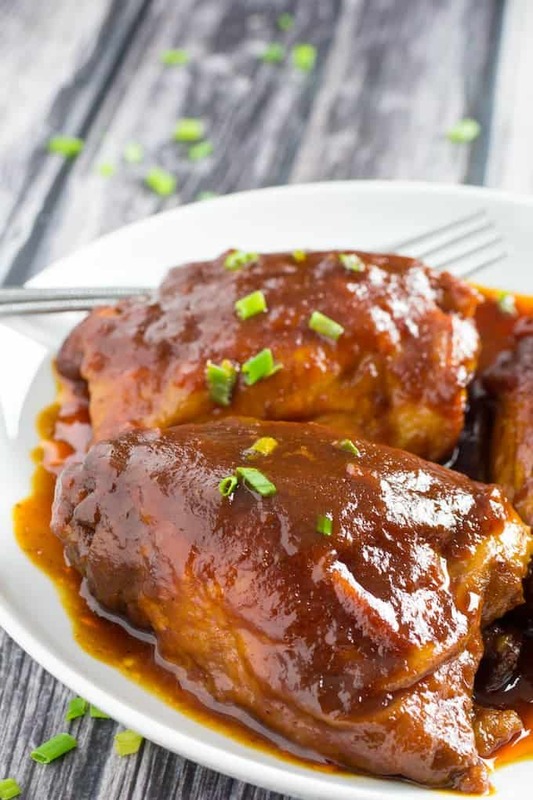 You won’t have to worry too much with crockpot BBQ chicken thighs, as they should be at the right chicken thighs internal temp once the time is done. But it never hurts to double check! 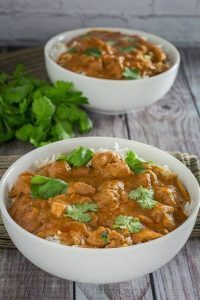 What’s the best sauce for BBQ chicken thighs? I always find that the best sauce for BBQ chicken thighs is whatever your favorite BBQ sauce is. 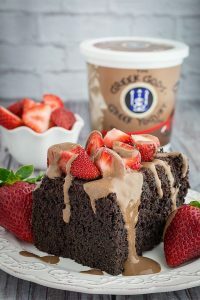 I like this to be a quick recipe when I’m really busy during the day, so I’ll throw my favorite store-bought jar in there (make sure it’s gluten free!). 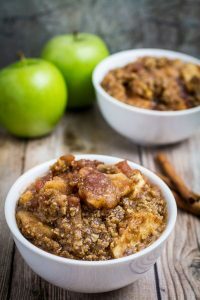 The dark brown sugar adds a really nice caramelized molasses flavor, which you sometimes don’t get from the store bought sauces. But if I have extra time, or leftovers, I also like to use my BBQ Sauce or Honey BBQ Sauce recipes. Also, don’t worry if you have a little more or less sauce than the recipe calls for. This is forgiving! If I do make my own BBQ sauce, I don’t add the brown sugar, because both of these recipes already call for brown sugar. These truly are the BEST BBQ chicken thighs ever. But making your own sauce from scratch takes it to a whole new level. But again, I only do this if I really have extra time. 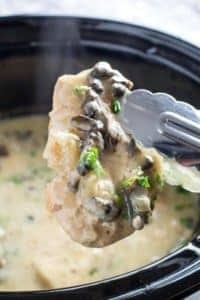 Put chicken thighs in crock pot. Sprinkle with brown sugar and pour BBQ sauce over them. 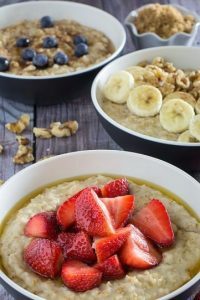 Previous Post: « Low Carb Snacks On The Go – 4 Ways!